PreCheck, a healthcare exclusive employment and background screening firm, was recognized as a Platinum and Gold winner during the 2018 Hermes Creative Awards international competition. PreCheck, an employment and background screening firm specializing in the healthcare industry, recently received four Hermes Creative Awards during the 2018 international awards competition. The PreCheck website and 25thAnniversary Hero Campaign won Platinum Awards for the category Website Overall/Business to Business and Communication/Marketing Campaign, respectively. The PreCheck Suite of Solutions Brochure and HEART Posters won Gold Awards for the category Print Media/Publications/Brochure and Strategic Programs/Employee Relations, respectively. 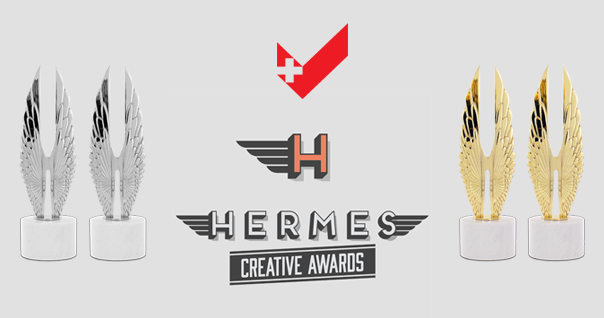 Each year, Hermes Creative Awards recognizes outstanding work of creative professionals involved in the concept, writing and design of traditional and emerging media. There were over 6,500 entries from throughout the United States and 21 other countries in the Hermes Creative Awards 2018 competition. The competition is administered by the Association of Marketing and Communication Professionals (AMCP). Winners were selected from 200 categories distributed under the headings: Print Media, Public Relations/Communications, and Electronic/Social/Interactive Media. About 17 percent of entries won Platinum, the top award, and around 22 percent won the Gold Award.